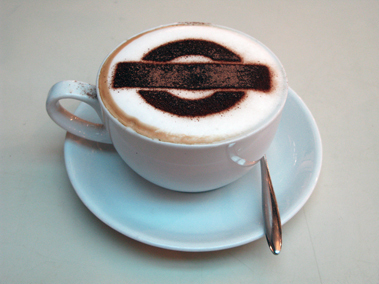 With the use of Metallic / Perspex stencils the TFL Roundel was incorporated into several products sold by Searcy's at the Upper Deck cafe of the museum. 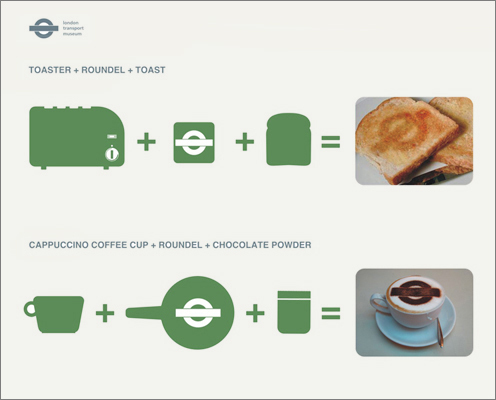 Stencils made out of Perspex where used by the bartenders to create the roundel shape on cappuccinos and hot chocolate beverages with chocolate powder and metallic ones attached on the toaster and grill to impose the Roundel shape on toasted sandwiches. 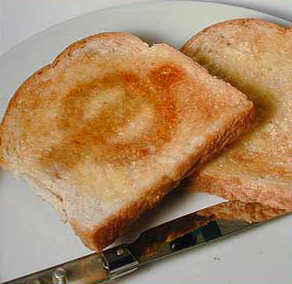 Design Brief : To enhance customer experience at the Upper Deck Cafe.